At Fun Town RV, we are proud to offer some of the lowest prices on the innovative InTech Luna Travel Trailers For Sale in Texas. These unique RVs are travel trailers suited for the most remote places and are packed with versatile features and amenities that you just don't find in many RVs. An awesome outdoor kitchen, a stylish and functional interior, and so much more, the Luna is an entirely new way to experience the great outdoors. Check out some of our amazing Luna inventory in the listing below. If this sounds like the kind of RV that you have been looking for, you can absolutely contact us today to learn all of the information. Or, if you want to see some more of our products up close and personal, you can come by and let us answer all of your questions in person. 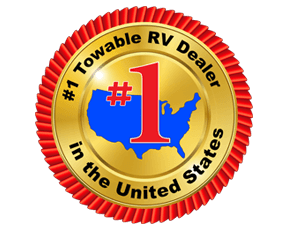 No matter what kind of RV you are looking for, Fun Town RV is a top RV dealer in Texas, so you know that you are getting the absolute best service available.